New image available for download with updates of Shairport, raspi kernel and better startup/watchdog scripts. Check downloads below. This new release introduces a watchdog to make sure required services are running. If Shairport does not start or crashes during use, make sure to wait for up to 10 minutes for the watchdog to catch it and restart Shairport. This is a preconfigured Raspberry Pi Debian build with Shairport. Write the image to a SD card (4GB or larger), plug in speakers and network, and an Airplay-capable player will show up on your network! Other than that this is a standard Raspbian system with the default login. Detailed build instructions are available at bottom of post. 2013-08-31 – Updated of Shairport, raspi kernel and better startup/watchdog scripts. Tested with Airfoil (PC/Mac) and Honey Player (Android). Last edited by rapsberrye on Sat Aug 31, 2013 11:07 pm, edited 5 times in total. I used 7-Zip (twice) to decompress the .gz file into a .tar file then into the .img on my Windows 7 laptop. I used win32diskimager to burn the image to my SD card. I booted up the Pi with screen, keyboard and mouse attached, logged in as pi (raspberry), ran 'startx' and then used WiFi Config to connect to my wireless network. Logged Out, Shutdown (sudo shutdown now), then rebooted with no screen, keyboard or mouse attached - just the speakers connected. Ran "Music" on my iPad, selected "My Shairport" using the icon next to the volume slider and - hey presto! - music to my ears! The playback is a bit glitchy but that is probably due to my son hammering our WiFi through his XBox. Build instructions added at the bottom of first post. pzc wrote: Worked first time! I haven't had an opportunity to try running over wifi yet, but will try to resolve playback issues if there are any. This worked first time for me and I have now have it running through my usb DAC. All I ended up doing was commenting out the the line below in the alsa-base.conf file. Not sure if I'm getting the best sound, as most people have modified various other files, but i'm not that techy, so any suggetions would be great if anyone has any improvements that will improve sound quality. It looks like a new stable version will be released shortly. When that happens this build will be updated. I strongly recommend you do what is said here so as to get the best audio from your RPi. I haven't been able to test it yet (need to buy another RPi, first one has RasPlex on it: great stuff), but it sounds like some of you could get more from you RPi by doig so! I can't seem to find much in the changelog, do you now what's new? Thanks so much. it worked like a dream streaming from my iPhone & iPad. The commit history I linked to is the changelog. There isn't a new version of Shairport available yet, so a formal changelog isn't written. 1.0 should be the next release. Last edited by rapsberrye on Fri Jun 07, 2013 8:03 am, edited 1 time in total. SASDOE wrote: I strongly recommend you do what is said here so as to get the best audio from your RPi. I haven't been able to test it yet (need to buy another RPi, first one has RasPlex on it: great stuff), but it sounds like some of you could get more from you RPi by doig so! Most of these performance tweaks are already applied. Using JACK is not an option, because this image assumes you are going to use the built-in speakers. Although, I will look into using HDMI for audio, so you can use a HDMI -> VGA+Audio splitter and get crystal clear audio from your HDMI port. Thanks to the person / peeps that have made it possible for me to do this. I haven't been able to understand why, if it's my splitter that it's not working properly (but why other streams are OK?) or if it's shairport's fault. I'm trying to find shairport logs, but nothing found to date. I added the "-v" flag inside /etc/init.d/shairport but I found nothing in syslog or other files... So it's hard to diagnose. If I had another device that accepts HDMI audio in, I could try to see if the problem occurs only with the splitter. But the reason I bought the splitter is precisely that: I have no HDMI IN in my ampli! Will check if I can replicate this on 1.0-dev. 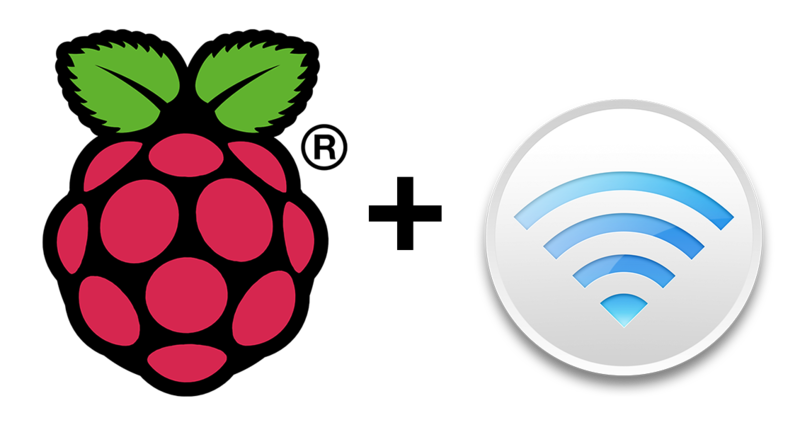 Updating the Raspi firmware through rpi-update has been known to solve some audio issues - I was having issues with stuttering audio at first, an rpi-update fixed that, you might want to try it! YOU MADE MY DAY! The thing is: I had updated the firmware, but as a last resort, just to improve the analog output, when I had already gave up on the HDMI front (I had found nowhere indications that the update could fix an HDMI problem, nobody seemed to have my problem). So AFTER the update I did not try a last time with the HDMI, but only with the analog output. When I read your comment I had a moment, I tried and in fact SHAIRPORT WORKS PERFECTLY!!!! I put an end to weeks of endless pain: I have hi-fi audio from all my sources now. I put this on my pi and it works great with iOS devices but on my Android phone I am using the media app DoubleTwist which has AirPlay support and doesn't want to play with the Shairport. That's interesting! Maybe there will be a separate build for that later. But there doesn't seem to be any iPhone support yet, which is a shame. Speaking of Android, the newly released AirAudio app lets you play all your audio through AirPlay speakers. Finally it should be possible to stream Spotify, Pandora etc. It requires a rooted device. I will test its compatibility with Shairport in the coming week. Just wanted to say that I tried this as well and it worked without issue. I used Honey on Android as client for this. If anyone knows of a free android app to achieve results, I would love to hear about it. I took the step of installing a WIFI adapter, and it runs flawlessly over that as well. Something that I would like to do is set it up so that my WIFI adapter runs an ad-hoc network, or acts as a DHCP server so that I can use it in my car, but the problem is that I would like to be able to access the device without killing my tablets access to 3G. One thing that would work is to have the pi boot and look for open networks, and then connect to them, but I don't have the know how to do that.... yet. This way, I could use my tablet as an access point and assign the pi an IP to use and access it that way. Can't see MagicPlay getting anywhere unless they quickly release binaries for other chipsets, eg. i386, Windows, etc. Alright, so I'm still getting acquainted with Linux. Can someone tell me how to change the Airplay name on this image from My Shairport to say Airpi? adamwilliams84 wrote: Alright, so I'm still getting acquainted with Linux. Can someone tell me how to change the Airplay name on this image from My Shairport to say Airpi? - There is a 2-3 second delay between me hitting play on Spotify/iTunes/soundcloud and hearing the sound come through the speakers (iPad and MacBook). Could this be due to me not using a sound card? Or not using a Wi-Fi dongle? Is there any way to reduce this delay? - When I listen to music (from spotify/soundcloud) from my iPhone 4 or iPad 2, the sound crackles/stutters a little - basically its not smooth the whole time. However, the sound through my iPad mini and MacBook is fine. Can anybody explain the issue here? Is there any way to get around it? The delay is based on the size of the buffer used for shairplay. If memory serves the older version that used perl had a fairly large buffer but the new version based on the dev-1.0 branch uses a smaller buffer as default. The new version should help with the crackle and stutter from the older devices as well since there was a bug fix in the code that addressed this issue. Building the newest version from the dev-1.0 branch and using an updated /etc/init.d/shairport file should fix these issues for you. DirkPrefect wrote: The delay is based on the size of the buffer used for shairplay. If memory serves the older version that used perl had a fairly large buffer but the new version based on the dev-1.0 branch uses a smaller buffer as default. The new version should help with the crackle and stutter from the older devices as well since there was a bug fix in the code that addressed this issue. Building the newest version from the dev-1.0 branch and using an updated /etc/init.d/shairport file should fix these issues for you. I have put the below together to try and do the update as you suggested. Can you let me know if this is correct and will update my Pi?